Let It Be is the twelfth and final studio album by the English rock band the Beatles. It was released on 8 May 1970, almost a month after the group's break-up. Most of Let It Be was recorded in January 1969, before the recording and release of the Beatles' album Abbey Road. For this reason, some critics and fans, such as Mark Lewisohn, argue that Abbey Road should be considered the group's final album and Let It Be the penultimate. The recording sessions began at Twickenham Film Studios as part of a planned documentary showing the Beatles preparing to return to live performance. A project instigated by Paul McCartney, the filmed rehearsals were marked by ill-feeling within the band, leading to George Harrison's temporary departure from the group. As a condition of his return, the Beatles reconvened at their own Apple Studio, where they completed the recordings with the help of guest musician Billy Preston. Let It Be was originally intended to be released midway through 1969, as Get Back, but the Beatles were unhappy with the version mixed and compiled by Glyn Johns, and the project was temporarily shelved. 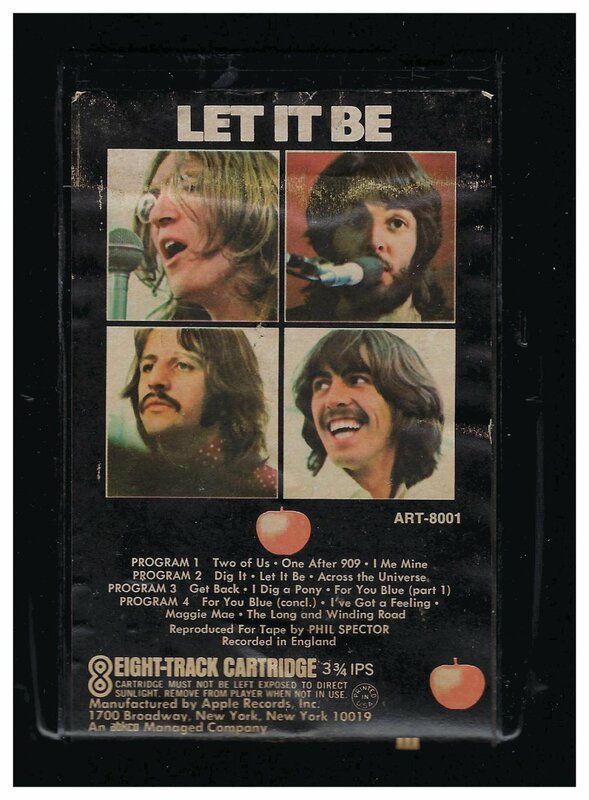 A new version of the album was created by Phil Spector in 1970 and finally released as Let It Be, serving as the album for the 1970 motion picture of the same name. While three songs from the sessions were released as singles before the album's release, "Get Back"/"Don't Let Me Down" and "Let It Be", the songs were remixed by Spector for the album and "Don't Let Me Down" was not included. Despite a mixed review from Rolling Stone at the time of its release, the album was ranked number 86 in the magazine's list of the 500 greatest albums of all time in 2003. This was, however, adjusted to number 392 in the 2012 version. Let It Be... Naked was released in 2003, an alternative version of the album, stripping much of Spector's production work and using some different versions of songs. The Beatles were an English rock band, formed in Liverpool in 1960, and one of the most commercially successful and critically acclaimed acts in the history of popular music. From 1962 the group consisted of John Lennon (rhythm guitar, vocals), Paul McCartney (bass guitar, vocals), George Harrison (lead guitar, vocals) and Ringo Starr (drums, vocals). Rooted in skiffle and 1950s rock and roll, the group later worked in many genres ranging from pop ballads to psychedelic rock, often incorporating classical and other elements in innovative ways. The nature of their enormous popularity, which first emerged as the "Beatlemania" fad, transformed as their songwriting grew in sophistication. The group came to be perceived as the embodiment of progressive ideals, seeing their influence extend into the social and cultural revolutions of the 1960s. With an early five-piece line-up of Lennon, McCartney, Harrison, Stuart Sutcliffe (bass) and Pete Best (drums), the Beatles built their reputation in Liverpool and Hamburg clubs over a three-year period from 1960. Sutcliffe left the group in 1961, and Best was replaced by Starr the following year. Moulded into a professional outfit by music store owner Brian Epstein after he offered to act as the group's manager, and with their musical potential enhanced by the hands-on creativity of producer George Martin, the Beatles achieved mainstream success in the United Kingdom in late 1962 with their first single, "Love Me Do". Gaining international popularity over the course of the next year, they toured extensively until 1966, then retreated to the recording studio until their break-up in 1970. Each then found success in an independent musical career. Lennon was murdered outside his home in New York City in 1980, and Harrison died of cancer in 2001. McCartney and Starr remain active. During their studio years, the Beatles produced what critics consider some of their finest material including the album Sgt. Pepper's Lonely Hearts Club Band (1967), widely regarded as a masterpiece. Four decades after their break-up, the Beatles' music continues to be popular. The Beatles have had more number one albums on the UK charts, and held down the top spot longer, than any other musical act. According to RIAA certifications, they have sold more albums in the United States than any other artist. In 2008, Billboard magazine released a list of the all-time top-selling Hot 100 artists to celebrate the US singles chart's fiftieth anniversary, with the Beatles at number one. They have been honored with 7 Grammy Awards, and they have received 15 Ivor Novello Awards from the British Academy of Songwriters, Composers and Authors. The Beatles were collectively included in Time magazine's compilation of the 20th century's 100 most influential people. Comes with foil splice, pad and a 7-day money back guarantee.